My name is Kelly Borrows and I am the new Social and Publicity Secretary for the Cotswold Area Civil Service Sports Association (CACSSA). I am looking forward to developing the social side of the Association further, and am keen to seek any views or suggestions that you may have on the type of activities, events or tasters days you wish CACSSA to consider in the future. This is the first in a new series of Newsletters which I’m planning to send out monthly. If you have any suggestions, or wish to be involved further with the social committee, please could you email Kelly.Borrows@cacssa.co.uk. Once a month there is a live, Sunday Lunch-time Jazz session from 12.30pm until 3pm. The next one will be on 19th February, followed by 19th March. Come along to the Club and enjoy a meal while you relax and listen to some great Jazz! Tickets can be purchased on the door, and cost £3.00 for CSSC members and £5 for non-CSSC members. 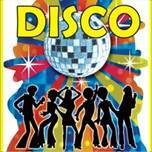 A Disco is held at the Club on the first Friday of every month. Dates for the next few months are 3 March, 7 April, 5 May and 2 June. The disco starts at 8pm. Tickets can be purchased on the door and cost £4.00 for CSSC members and £5.00 for non-CSSC members. Poker takes place on Sunday nights from 6.30pm at the Clubhouse. The entry cost is £5.00 for CSSC members (due to licencing laws this event is only available to CSSC members). If you are interested in any of the above events, and wish to purchase tickets, please ring 01242 680424 or pop into the clubhouse. Details of social events, sporting activities, membership benefits and function rooms available to hire can also be found at www.cacssa.co.uk. Taster days taking place in 2017 will shortly appear on the CSSC website. CACSSA will shortly be organising a number of daytrips, including a daytrip to London. Details of future events will appear on the CACSSA website and in the next newsletter. The next CSSC Games is taking place on 15 September 2017 at Loughborough University. Further information on activities available can be found of the CSSC website. It doesn’t cost the retailers/providers anything to put their deals on and they can decide what type of offers they wish to roll out to CSSC members via the MySavings+ platform. 10% rebate on the cost of a swimming ticket at a leisure centre (proof of purchase, name and membership number required). Keep your receipts and submit them in batches. 7.5% rebate on the cost of organising your own activity – e.g. paint balling, go-karting, theatre trip, golf day etc. (must be a minimum of six CSSC members participating. Proof of purchase, names and membership number are required).